Roland Lagier is Senior Vice President of Technical and Quality, a position that brings together the company’s Quality and Chief Technical Officer functions. In this role, he is responsible for guaranteeing the launch system flightworthiness for each mission operated by Arianespace, as well as implementing and managing the company’s quality policy. Lagier began his carrier with Aerospatiale in 1982 and joined Arianespace in 1997 as Head of the Environment and Structures Department. In 1999, he was named Vice President – Systems, covering mission analysis and procurement of the mission-specific “upper composite” for launchers on each Arianespace mission. 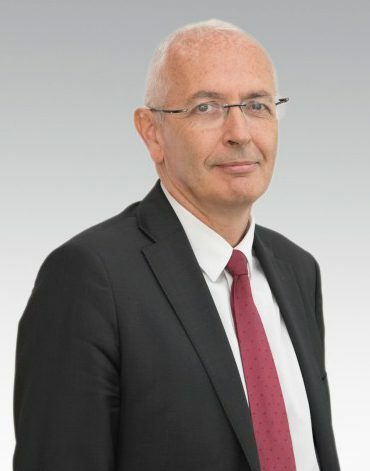 In 2010, Lagier became the Vice President of Engineering and deputy to the Arianespace Senior Vice President – Technical, assisting in ensuring the coherence and technical viability of Ariane, Soyuz and Vega launch systems operated by Arianespace. Roland Lagier holds a degree from the French IPSA engineering school.